India Parker from Cleveland, Ohio, was being held on $10,000 bond Saturday after reportedly confessed police she threw her daughter’s body out with the trash. 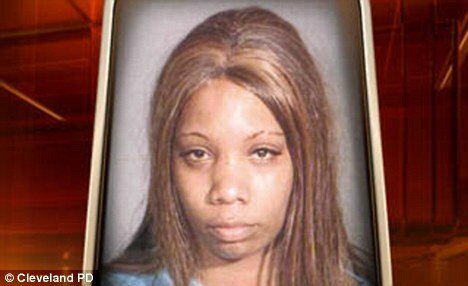 India Parker, 35, is facing a charge of abuse of a corpse. India Parker is at the centre of an investigation into the disappearance of her daughter, Kaliyah, 10. The girl was reported missing Monday by the father of one of India Parker’s other children, Fox News reports. Relatives and friends have told police they haven’t seen Kaliyah Parker since she was five in 2006. The police report shows that India Parker told the girl’s father that Kaliyah died when a bookcase fell on her. However, no death certificate has been found and there were no records at local hospitals. Police say India Parker was also reported for child endangering back in 2000. According to Fox News, India Parker had previously had at least one child taken away from her by social workers and subsequently returned to her. Sgt. Sammy Morris said India Parker will stay behind bars until police find out what happened to Kaliyah.